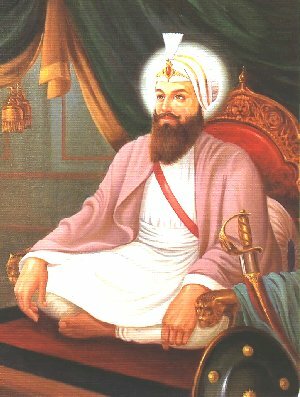 Guru Angad Sahib, (Bhai Lahna ji) was born in the village named Sarai Naga (Matte Di Sarai) district Muktsar (Punjab), on Vaisakh Vadi 1st , (5th Vaisakh) Samvat 1561, (March 31, 1504). He was the son of a petty trader named Pheru ji. His mother ‘s name was Mata Ramo ji (also Kwown as Mata Sabhirai, Mansa Devi, Daya kaur). Baba Narayan Das Trehan was his grand father, whose ancestral house was at Matte-di-Sarai near Mukatsar. Pheru ji shifted back to this place. Under the influence of his mother Bhai Lehna ji began to worship Durga (A Hindu mythological Goddess). He used to lead a batch of worshippers to Jawalamukhi Temple every year. He was married to Mata Khivi ji in Jaunary 1520 and had two sons (Dasu ji and Datu ji) and two daughters (Amro ji and Anokhi ji). The whole family of Pheru ji had to leave their ancestral village because of the ransacking by the Mughal and Baloch militia who had come with Babur. After this the family settelled at village Khadur Sahib beside the Beas river, near Tarn Taran Sahib (A small town about 25 kmt.away from Amritsar City). Once Bhai Lehna ji heard the recitation of a hymn of Guru Nanak Sahib from Bhai Jodha ji (a sikh of Guru Nanak Sahib) and was thrilled and decided to proceed through Kartarpur to have a glimpse of Guru Nanak Sahib at the time of yearly pilgrimage to Jwalamukhi Temple. His very first meeting with Guru Nanak Sahib completely transformed him. 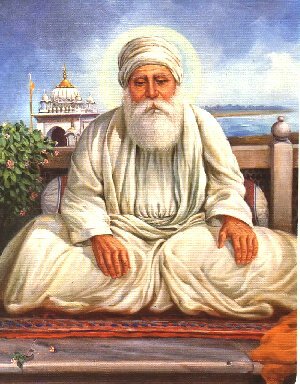 He renounced the worship of Hindu Goddess, dedicated himself to the service of Guru Nanak Sahib, became his Sikh and began to live at Kartarpur, His devotion to Guru Nanak Sahib and his holy mission was so great that he was installed as the Second Nanak in September 7, 1539 by Guru Nanak Sahib himself. Earlier Guru Nanak Sahib tested him in various ways and found an embodiment of obedience and service in him. Guru Nanak Sahib gave him a new name Angad (Guru Angad Sahib). He spent six or seven years in the service of Guru Nanak Sahib at Kartarpur. 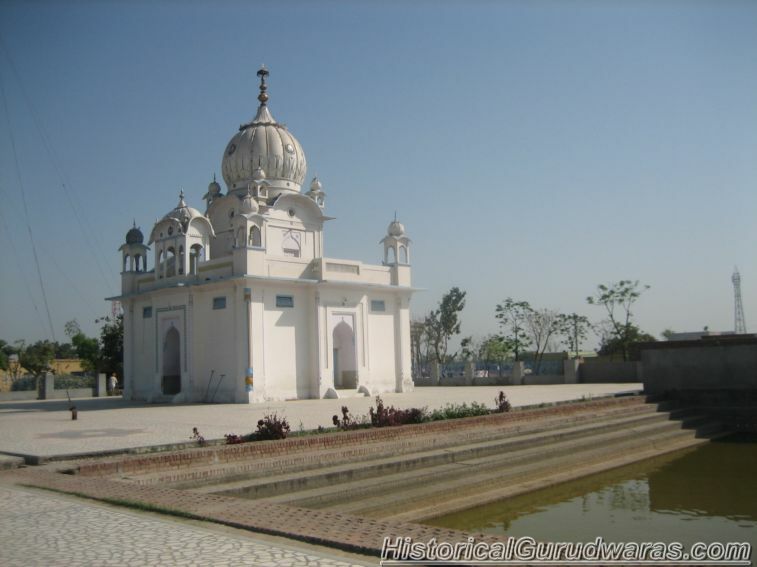 After the death of Guru Nanak Sahib on September 22, 1539, Guru Angad Sahib left Kartarpur for Khadur Sahib Village (near Goindwal Sahib). 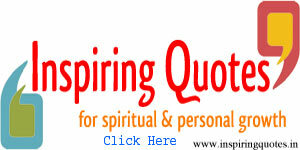 He carried forward the thought of Guru Nanak Sahib both in letter and spirit. 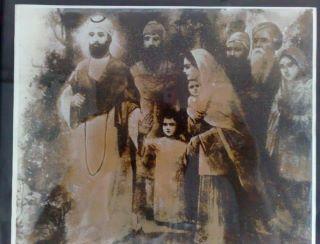 Yogis and Saints of different sects visited him and held detailed discussions about Sikhism with him . Guru Angad Sahib introduced a new alphabet known as Gurmukhi Script, modifying the old Punjabi Script ‘s characters. It become the script of the masses very soon. He took great interest in the education of the children by opening many schools for their instruction and thus increased the number of literates. For the youth he started the tradition of Mall Akhara, where physical as well as spiritual exercises were held. 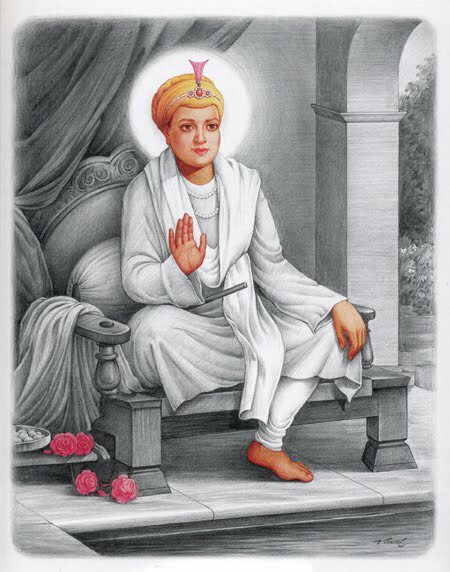 He collected the facts about Guru Nanak Sahib ‘s life from Bhai Bala ji and wrote the first biography of Guru Nanak Sahib. (Bhai Bale Wali Janamsakhi available now a days in not the same that Guru Angad Sahib had compiled.) 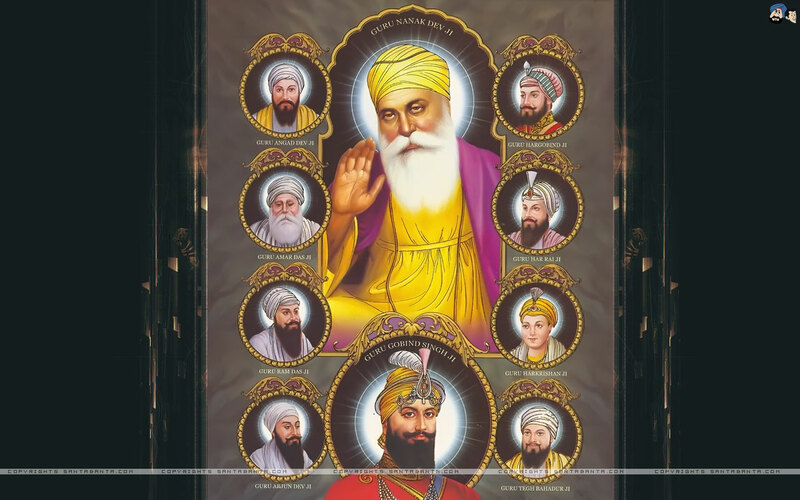 He also wrote 63 Saloks (stanzas), these were included in Guru Granth Sahib. He popularized and expanded the institution of ‘Guru ka Langar’ started by Guru Nanak Sahib earlier . Guru Angad Sahib visited all important places and centres established by Guru Nanak Sahib for preaching Sikhism. 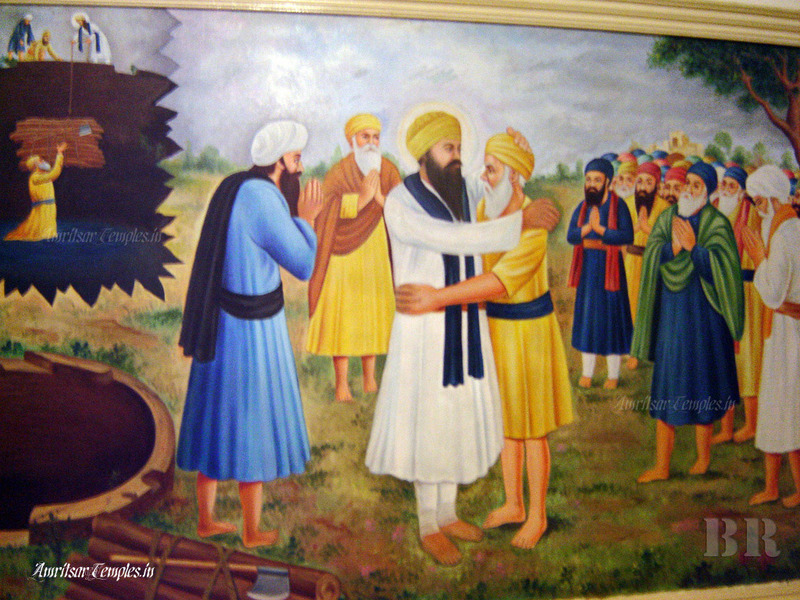 He also established hundreds of new Sangats (Sikh religious Institutions) and thus strengthened the base of Sikhism. The period of his Guruship was the most crucial one. The Sikh community being infant, had to face a number of dangers. It was not difficult for Hinduism to swallow the newly born Sikhism in due course of time. Moreover Sri Chand’s Udasis sect community and the activities of Jogies had not yet abated. At this hour of juncture he lived Guru Nanak Sahib’s tenents in true spirit and there were manifest signs of drifting it (Sikhism) away from the Hinduism. Sikhism established its own separate religious identity. 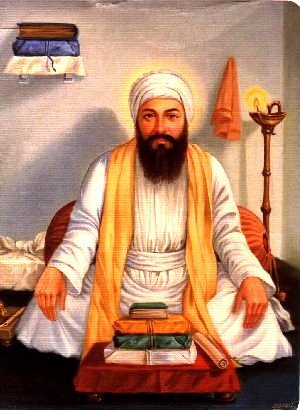 Guru Angad Sahib, by following the example of Guru Nanak Sahib, nominated Amar Das Sahib as his successor (The Third Nanak) before his death. 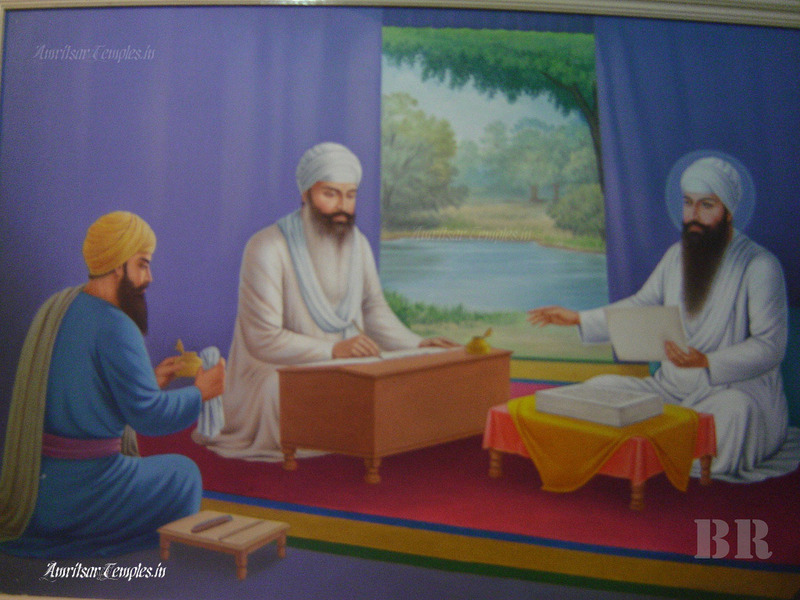 He presented all the holy scripts including those he received from Guru Nanak Sahib, to Guru Amar Das Sahib. He breathed his last on March 29, 1552 at the age of forty-eight. It is said that he started to build a new town, at Goindwal near Khadur Sahib and Guru Amar Das Sahib was appointed to supervise its construction. It is also said that Himayun, when defeated by Sher Shah Suri, came to obtain blessings of Guru Angad Sahib in regaining the throne of Delhi.